There has been a bomb scare at the Grand Bahama Shipyard in Freeport Bahamas where a Princess cruise ship is currently undergoing a major refurbishment. 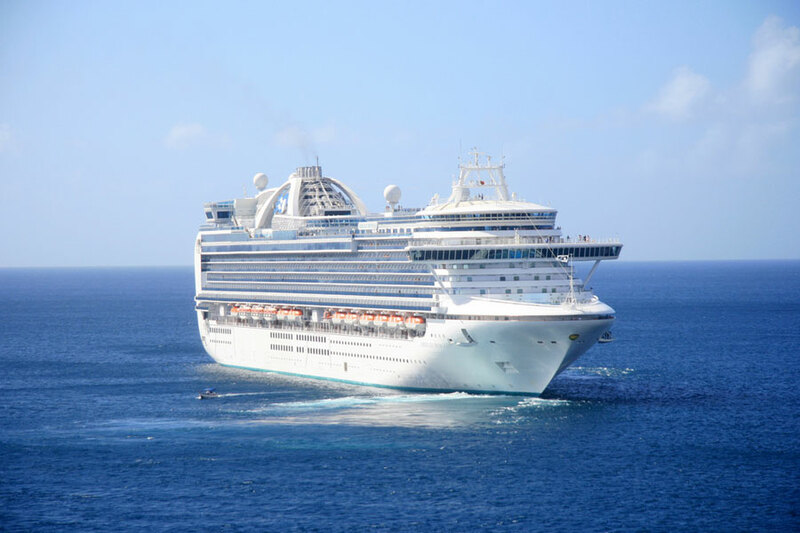 Cruise Law News which is the first to post this news is reporting of a bomb scare on the Caribbean Princess. The ship is currently receiving a major refurbishment at the shipyard in Freeport. A person who was on board the ship told the site that a complete bomb search was done onboard and at 10:00 AM the captain gave the abandon ship order. The evacuation order includes all remaining crew members and the shipyard workers on the vessel. At the moment no more is known. It is likely that further checks are being done before letting everyone back onboard. Caribbean Princess is on a tight schedule since it entered dry dock on March 26. The ship is scheduled to complete the upgrade on April 6 but this bomb scare could delay it. Crew do go through training to deal with situations like this, they often have to find an object which was hidden by security personel and find it within a set time. Caribbean Princess is 113,000 gross ton vessel and will depart on a transatlantic cruise to Europe and then head back over for cruises to Panama.